I helped make 3 things today! I made some more shirts you can buy at the Ponder Couch Store! I made a male and a female version of the dark shirt for each image! Below are a picture of each new shirt! (some male, some female). 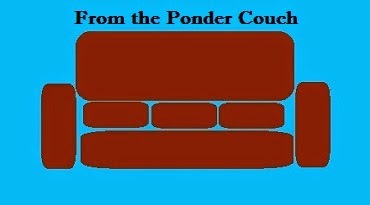 Most of the images are the byline pics for everyone who has published something on the Ponder Couch! Again, you can buy all of these at the Ponder Couch Store! And you should! At least a few of them. I opened a new cafepress store, too. So far there is just one design, but it's on a lot of stuff. I plan to add more designs. Some time. After I've made more designs. Hooray for more shirts no one will buy!